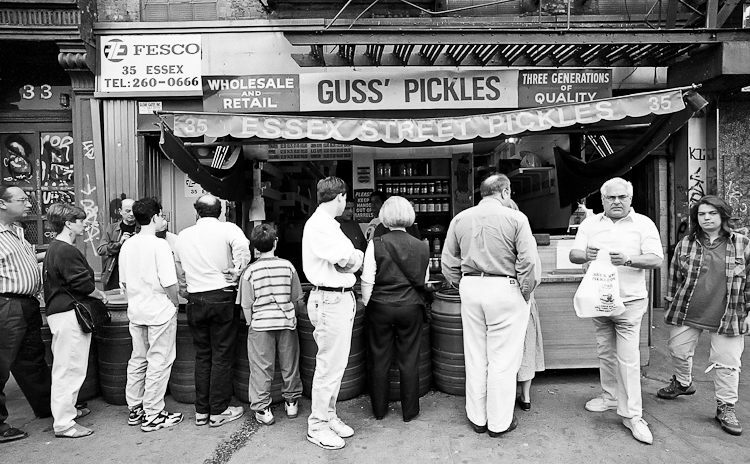 Guss' Pickle – "Imitated but never duplicated"
At Guss’ Pickles, we value your input and comments. Please contact us at GussPicklePower@aol.com. Guss’ Pickles T-Shirts are available for $ 25.00, shipping and handling included, anywhere in the United States. 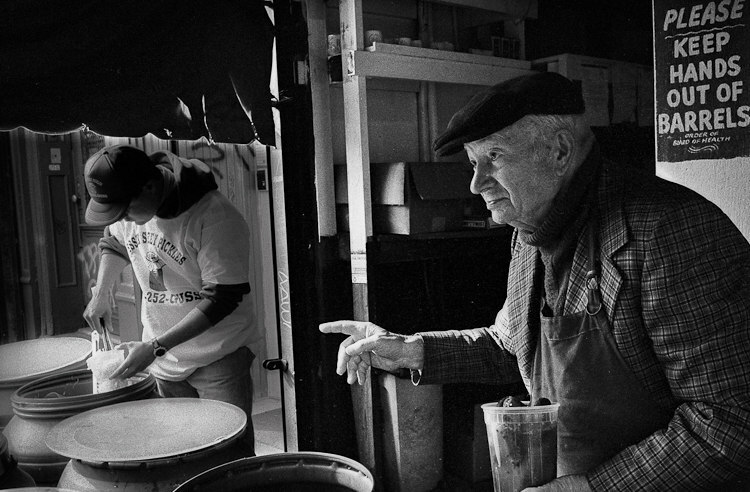 Over 100 years ago, Izzy Guss arrived in America from Europe. 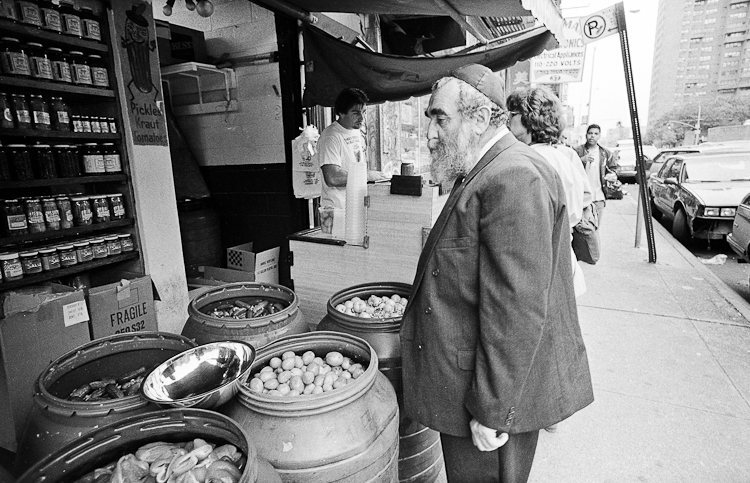 He settled on New York City’s Lower East Side, a vibrant cauldron of immigrant life. 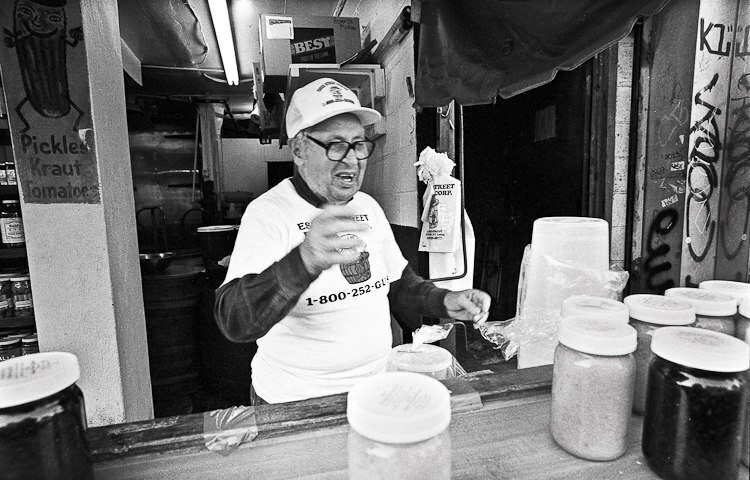 There, young Izzy set up his now legendary pickle stand. 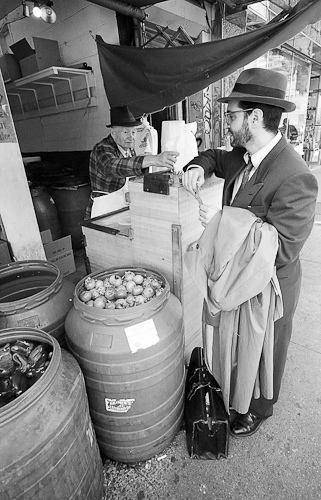 Using his generations-old original recipes brought over from the old country, Izzy began selling his products – right out of the barrels! 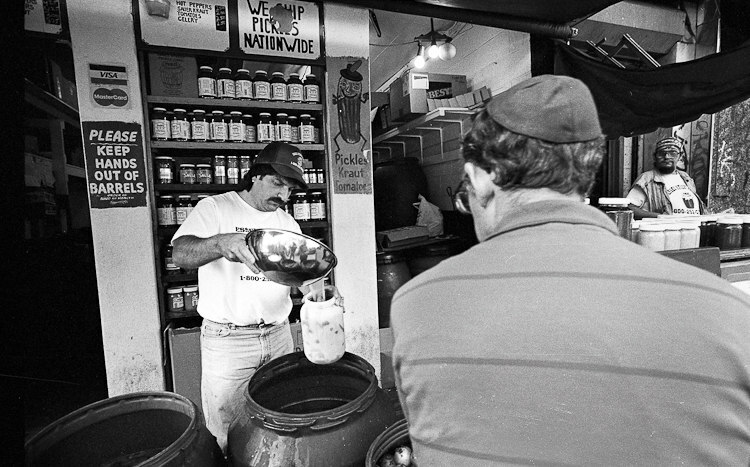 Guss’ stand quickly grew into the most revered destination in the city, and indeed in the country, for top-quality old-world style pickles. 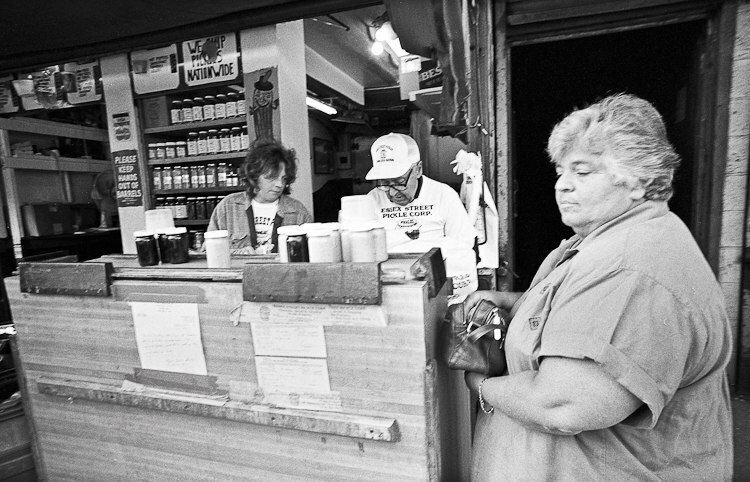 Down through the generations, the Guss reputation has continued to grow. 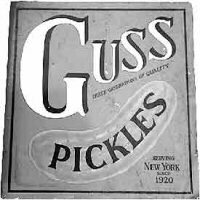 Today, the name Guss is known the world over for the best pickles money can buy. 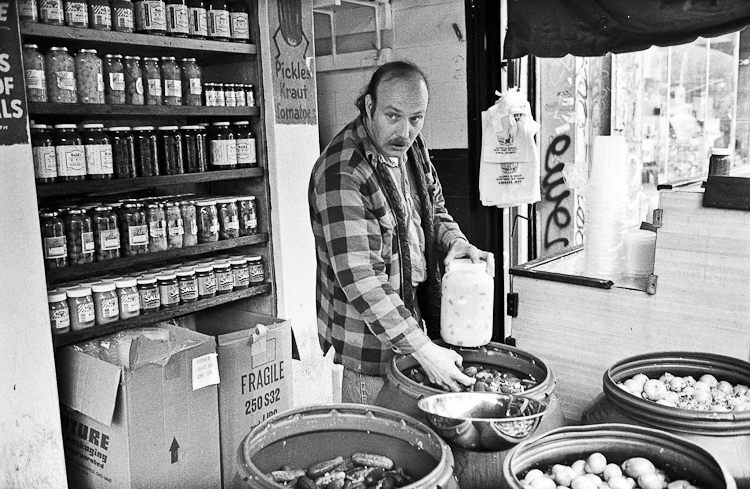 These same Guss’ original pickles, the ones that made New York famous for its great pickles, are now available in supermarkets, by mail order, and in select gourmet pickle outlets across the country.